These presentation slides 25551 are complete compatible with Google Slides. Simple download PPTX and open the template in Google Slides. 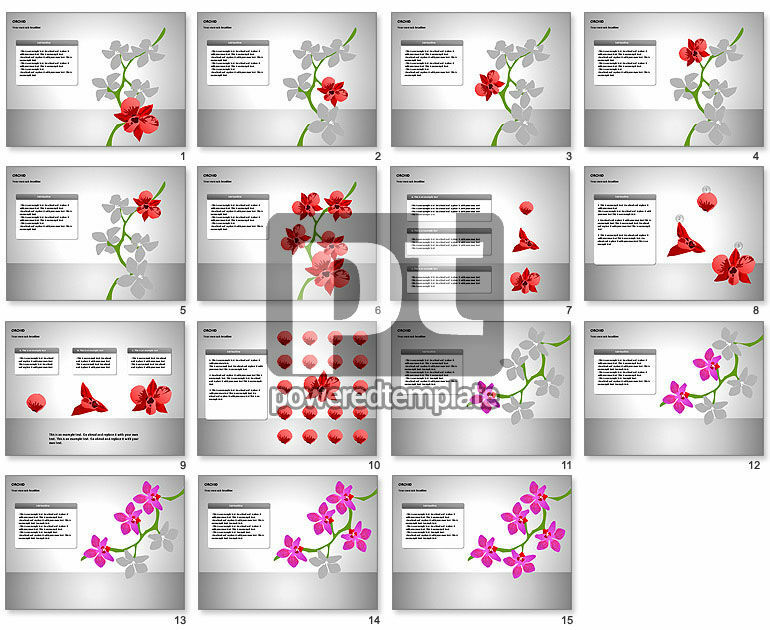 Stunning slides with orchid flowers might fit as illustrations of business processes, business development, business stages, business tactics and tips, etc.